There is one sure fire way of maximizing the way in which you can lose weight through what you eat and drink and that is to make sure that you are dieting as effectively as you can. This means that what you eat and drink should provide all the nutrients that your body needs while adding no extra sugars that can be turned into stored fat. At the same time your body should be gradually using up the store of fat it already has through maintaining a negative calorie balance. Let's explain this and see how it can work to bring about an effective reduction in body weight. 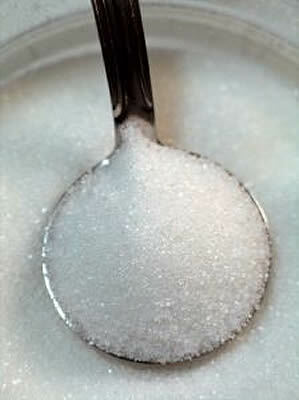 Sucrose, which is most commonly known as the white, granulated sugar that many people add to hot beverages, breakfast cereals and use in baking cakes and cookies etc. High fructose corn syrup (or starch) that is used by food manufacturers to sweeten many processed foods. These are to be avoided if you want to avoid weight gain because of the way they are processed in the body after being converted to glucose. This processing ultimately results in the surplus glucose, of which there is usually quite a high percentage of what is consumed, being converted into fat and stored in various locations around the body. This is generally known as visceral fat, which is produced by the liver and caused to be stored by the hormone insulin. There are many potential health risks that go with having too much of this kind of fat in the body, which are outside the scope of this article which is primarily focused on how to avoid weight gain. Suffice it to say that too much stored fat is the excess weight we want to lose! By cutting back hard on the foods that contain these sugars, we effectively starve the process that makes this fat and force the body to burn stored fat for energy, thus reducing the amount stored around the body and resulting in weight loss. This can be achieved by suitable changes in the diet alone, but can be helped along considerably by doing some daily exercise sufficient to cause the body to burn much more energy that it normally does. The way in which effective dieting conveniently helps this process along is by replacing the processed foods that contain high levels of refined sugars with lots of natural foods such as fresh fruit and vegetables. This way, the body still gets the carbohydrates it needs to function, but the sugars present in whole foods are processed differently by the body, releasing glucose more slowly into the blood stream and giving the body more time to use it up so that little or no excess is available to be stored as fat. When this is done right through adhering to a suitable daily calorie intake level, the body will burn enough of its store of fat to result in it gradually losing the extra pounds in a way that is healthy and safe. This is the best way to lose weight, as many experts will agree.